The Metropolitan Transit Authority (MTA) has steadily repaired the other damaged subway tunnels, but has left the L train for last. Rather than attacking the problem during night and weekend train outages, the MTA will entirely shut down the Canarsie Tunnel for a fifteen-month overhaul, scheduled to start in April 2019. With this critical connection between Manhattan and Brooklyn severed, hundreds of thousands of commuters will need a new way of traversing the East River. The MTA’s shutdown mitigation plan involves closing 14th Street in Manhattan to all vehicles but city buses, increasing bus service across the Williamsburg Bridge, and running more trains on the G, J, M, and Z lines. But before the MTA plan was even announced, enterprising New Yorkers began to develop their own solutions to the impending transit nightmare. One of the more ambitious plans suggests building a sky-high gondola that would connect Manhattan and Williamsburg, similar to the Roosevelt Island Tram. ReThink Studio presented a surprisingly thorough pitch to link the E and G trains and form a Manhattan – Brooklyn – Queens loop line that could improve commutes during the L train shutdown and for generations beyond. The latest unconventional proposal comes from real estate investor and male model Parker Shinn, who is pitching a temporary floating pontoon bridge across the East River. His plan would provide two bus lanes and two pedestrian/bike lanes running from 8th street in Williamsburg, then across the river to 10th street in Manhattan. In Manhattan, the buses would then roll on to city streets, taking Avenue C and then running a circuit on 14th Street, delivering passengers to destinations on 14th where the L used to run. Shinn’s idea of using a pontoon bridge would be significantly cheaper than constructing a real, permanent structure. A suspension bridge of this length, such as the nearby Williamsburg Bridge, would require the construction of enormous piers using caissons sunk to the river’s bottom, miles of steel cable, and mammoth abutments on each side of the river. A pontoon bridge, however, simply floats on the water, with the weight of the bridge being resisted by the buoyant forces at the road deck’s hollow supports. Temporary floating bridges have been used for thousands of years to move goods and equipment across bodies of water during military campaigns, and permanent pontoon road bridges now reach over two kilometers in length. The “L-Ternative Bridge” would be consist of 37 pre-fabricated truss segments, built and assembled off-site, then floated into place and anchored to keep them from drifting away. Now that the project is in the Kickstarter campaign phase, Shinn’s pontoon proposal has begun to receive loads of positive press from the New York City media and beyond. The project caught Hackaday’s attention when Fred Wilson discussed it on the AVC blog. Unfortunately for L train commuters, it’s highly unlikely that such a bridge will float across the East River any time soon. As Shinn mentions on his Kickstarter page, a drawbridge portion would necessary in order to allow for large ships and barges to pass. However, given the heavy maritime traffic on the East River, this drawbridge would probably spend more time up than down. Shinn also acknowledges that any construction of a bridge across a navigable waterway would require the formal approval of the United States Coast Guard. In addition, there are layers of lengthy environmental impact assessments and traffic studies that are required before embarking on such on a project. Even if these are somehow expedited, I would expect to see the project smothered by costly and time-consuming lawsuits. Shinn has shown his bridge’s Brooklyn side connecting with 8th street in Williamsburg, but this city street doesn’t meet the water. Instead, the street’s western terminus occurs at Kent Avenue, about 600 feet from the East River. The land in between the end of 8th street and the river is East River State Park, which is notably not the property of the City of New York. In other words, for Shinn’s hundreds of daily buses to rumble through this 600-foot stretch, he would need full permission from the New York State Office of Parks, Recreation, and Historic Preservation. The Manhattan landing of the pontoon bridge would require an elevated portion over the FDR, a six-lane expressway that runs north-south along the east side of Manhattan. Shinn acknowledges that an overpass would be necessary here, but such a structure would require actual subgrade foundations to carry its weight down into the Earth. This type of congested foundation construction happens all the time in New York City, but if the bridge is to be open in twelve months, they had better begin taking soil samples now. Finally, the East River is not technically a river: it’s a narrow stretch that connects the salt water bodies of the Long Island Sound and the Atlantic Ocean, meaning that it would be more accurately called the East Tidal Strait. The currents here are particularly intense and unpredictable, tidal ranges are high, and the area is susceptible to intense storm surges. Whereas the fixed crossings over the East River are mostly immune to the effects of the turbulent waters below, a pontoon bridge would be at the mercy of the tides. It’s unclear if the boat anchors that he’s chosen will be able to resist the intense lateral forces on the bridge. 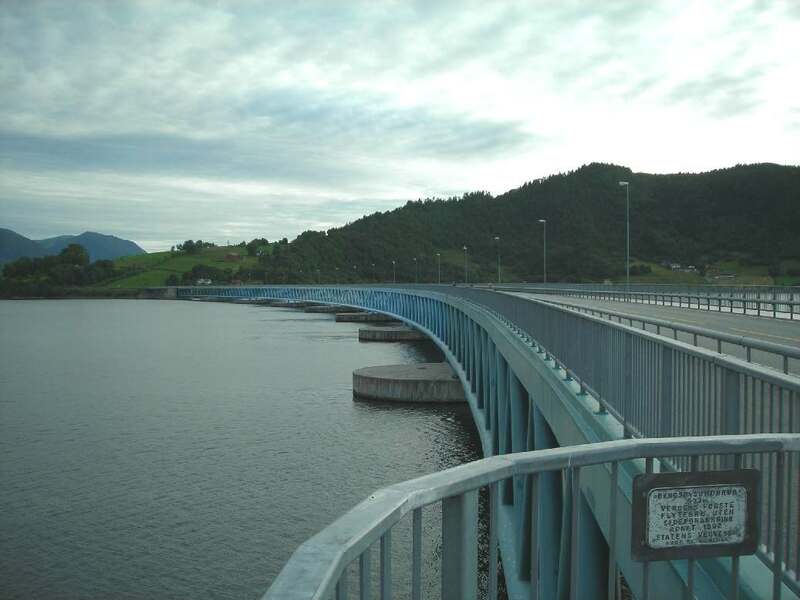 Because of this exact concern, floating bridges are typically reserved for spans across calmer waters, such as lakes and particularly placid rivers. Though the construction of an East River pontoon bridge is highly unlikely, it is heartening to see citizens like Shinn actively pursue ambitious infrastructure projects. The MTA has been generally responsive to neighborhood feedback regarding the L train shutdown, but we should never remain passive in the face of significant changes that affect our daily lives. 150 years ago, John Augustus Roebling was just a private citizen with a big idea when he began the design work for the Brooklyn Bridge. The pontoon bridge might be a solution that creates more problems, but a great workaround to the L train tunnel closing might still be out there. What kind of engineering wizardry would it take to keep commuters moving across the East River? Let us know in the comments below. I’m glad I’m not living there. My commute home from work doesn’t even have a single stop sign. Move ’em like coal on enormous conveyor belts. I’m sorry I missed this Jeff. Actually a great idea like in Toronto CN Airport, only put them on the East River bridges along the sidewalks (catwalks). You know you guys should be sending your ideas in. It’s in the OP that they are still looking for proposals. Something Q&D (quick and dirty) is not out of the question either. Anything that has minimal cost and initiation time is ideal. It does not need to be permanent, only until tunnel is drained off and restored and L-train reinstated. With hooks on top the buses! That would be a sight, seeing a bus driving at high speed up some ramp, hook onto a zip line, before gracefully gliding over a river. As long as it doesn’t miss the wire, it should likely work. But it is sure different! Kinda’ what the GONDOLAs already do? A supply of parachutes and a trebuchet on either side. Done. It’s lucrative not because it’s dangerous, but because it looks more dangerous than it actually is. If it is really truly dangerous then insurance is a lot less interested. Here, you would need the parachutes to be automatic; if the passengers have to pull the cord themselves, you’ll never get insured. But if you can automate any decision-making, then it might be made safe enough. And it would still look insanely dangerous, so nobody would flinch at high insurance! Whoah, neat! I just watched a video of the drawspan opening, and that’s fascinating. The point about shipping traffic and the draw portion spending more time open than closed is still valid, though. I’ll definitely try to check this our next time I’m in the pacific northwest! I’m wondering if they could elevate a portion of there pontoon bridge to allow barge traffic to flow underneath without requiring a draw bridge segment. Center of gravity would be impacted but if you used oil platform design techniques it could still be stable. Here is a video of YouTube trucker Allie Knight and her trainee driving an 18 wheeler across that bridge: https://youtu.be/hJktkFdkzGw About 2:00 in. WARNING: This YT channel is quite addictive if you enjoy watching scenery go past! Yep, the first thing I thought of too. If Shinn didn’t think of this instead of a drawbridge it makes you think what other obvious things has he missed. Related: Brisbane River’s floating walkway was destroyed in the 2011 floods. Can´t they move the island nearer the other side ? The government believe the island will tip over and sink if they try that.. Eliminate the human infestation, problem solved. Anybody who makes such suggestions shall start by eliminating himself. I think something equivalent to standardized shipping containers, except for human passangers. You can transfer between a truck, train carriage, boat, hovercraft, or swamp buggy. Maybe even put it on wheels and push it down a hill like a cable car. We are testing out SHIPPING CONTAINERS for impromptu apartment buildings in New Haven CT near Yale Univ. Talk about sardines. Although windows were added. Instead, it can lead to ferry tales. It’s quite HUGE and I am still baffled by it. It’s ongoing right now and I hear underground explosions every day from the “till”. SORRY I meant 200 feet down! 60.9 meters. Not 2,000 feet. Come to find out these guys (MDC Water Co) are talking about making another tunnel connector heading north in 2020. Then another (by CT DOT) going under the Connecticut River making our bridges obsolete. 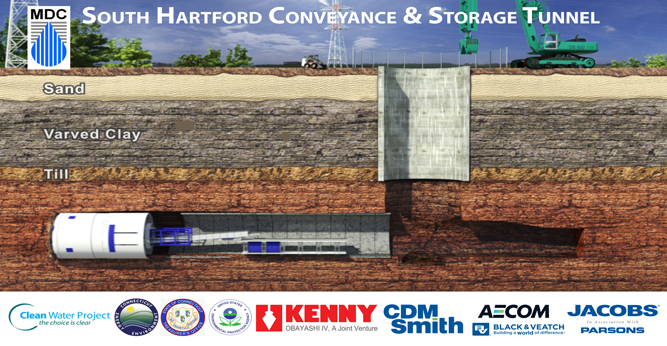 With the 1930’s tunnels under Travelers Insurance Co Hartford is going to become a honeycomb of tunnels. We already have huge one running from West Hartford to downtown Hartford. This one was in reaction to our devastating flood of 1955. You should see the huge pit they made in my diagram above. I’ve never seen anything like it. And we (the citizens of Hartford) only got wind of this project RECENTLY and they’ve been planning it in ostensibly in secret for years! I’m partial to air-cushion vehicles (hovercraft). They can be used to ferry people across and then be taken somewhere else when the job it done, unless it proves to be a desired solution in addition to the tunnel fix. The problem is they’re so inefficient that over the long term you could just build another car bridge and save money compared to buying all the fuel and maintaining all those extra combustion engines. You’d have to build a terminal at each side too, so you still have to invest in infrastructure. Also, consider the weather issues; sure you can ignore some storm surge, but at the same time that you have storm surge you have wind, and you’re getting blown all over the place. You can’t run with spacing for a calm day ever, because the ocean is hungry, and will blow you down if you make those types of assumptions. So the throughput stays low. It works fine for giant ferries, but ferries never have the throughput to replace bridges. If a ferry would do the trick, they probably wouldn’t even be talking about a bridge because the use cases are very different. The Pacific Northwest is famous for its bridge disasters. About half of the Hood Canal Bridge sank in 1979 and was not reopened until three years later. The most spectacular floating bridge incident was in November 1990 when the combination of an inept contractor working on the structure left dozens of port holes open in the pontoons coupled with a massive wind and rain storm sank most of the old structure. And up in these parts we all know about the Tacoma Narrows (suspension) Bridge disaster. New Yorkers, take heed. Let’s also not forget when the Evergreen Point Bridge killed someone after a worker drove a screw into a wire in a junction box, or the poor worker who was killed in the Kingdome when a ceiling tile fell on him. And then there’s the “tunnel to nowhere” being built in downtown Seattle, years late, far over budget, that will do nothing at all to reduce traffic. If you watch the movie “Singles” carefully you will see extensive mocking of Seattle’s completely inept attempts to create public infrastructure. Wow, such a negative nancy. There are a few Seattle wins too. The “tunnel to nowhere” also happens to be the widest bored tunnel in the world. I’m not sure why you’re peppering your comment with a few random construction worker fatalities, especially when your facts are wrong. Nobody was killed by falling Kingdome tiles. The two workers who died were killed by the crane operator running the basket they were in into the roof, which collapsed the jib and caused them to plummet several hundred feet. I’ve never heard of that as a regional thing, and I’ve lived here my whole life. We’ve got some of the best bridges in the world, if not the fanciest. Bridges are nearly always the safest stretch of road, safer than the regular roads that they connect, because we have really solid civic engineering public universities. Did somebody ever die on a bridge? Certainly. Is there some region of the United States with higher average bridge quality? Doubt it. Even a single lane bridge on a gravel road in the mountains, 20 miles from the nearest pavement, locals just drive over it without any concern, because bridges are Understood To Be Important, and they do get maintenance. And the States in this region really do enforce the engineering rules they write. Money is powerful, but our engineers are just engineers, not MBAs. Math is math, and bridges built to the specs are very strong when you mandate good specs and enforce it. A disaster in 1990 doesn’t tell you anything about the risk of bridges today, for that you’d want to look into the responses to the disaster and measure if it is more likely, equally likely, or less likely to happen now. Like with drinking water; if you look at history, my city had one of the worst drinking water disasters in the western states. That was in 1905. Does it mean we have dangerous water? No, it means we have a public utility that has cared about water quality continuously for over 100 years, after taking the job over from the company that caused the disaster. Sometimes construction companies try to cheat, and it just means more inspections and very slightly higher costs to assure high quality. It doesn’t have to mean that the quality is low. That only happens in regions where the average person is frightened by safety rules, because Macho. Immersed tube tunnels is still a viable idea just with more modern materials. I think the East River tidal currents are MASSIVE! NYC refuses to go down to the bottom to retrieve millions of dollars of Civil War UNION ARMY gold from a sunken paymasters ship just because of those crazy and intense currents, A pontoon bridge wont last long with those lateral forces on it. And adding a draw bridge makes it even less stable. One very unique idea is to resurrect Count Ferdinand von Zeppelin’s idea with a LTA vessel that just ferries people not cars across the East River in the air. He did it over the North Atlantic several times before the war. 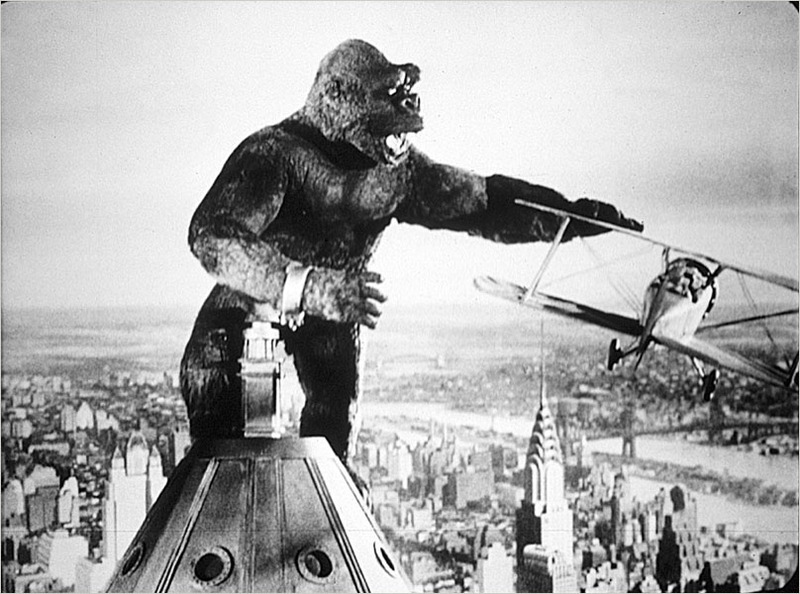 And it is weren’t for his use of Hydrogen fuel instead of Helium it would have never ignited at Lakehurst NJ in 1937. Zeppelin NT is still in business today and has a small USA field operation in Connecticut near NYC. 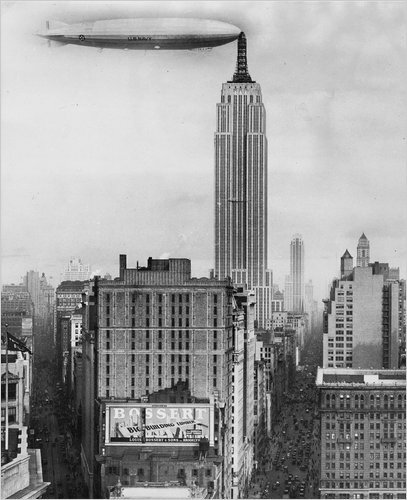 It would bring back old memories of the 1930’s when these things flew peacefully over NYC. With the added benefit of mooring at the top of The Empire State Building! 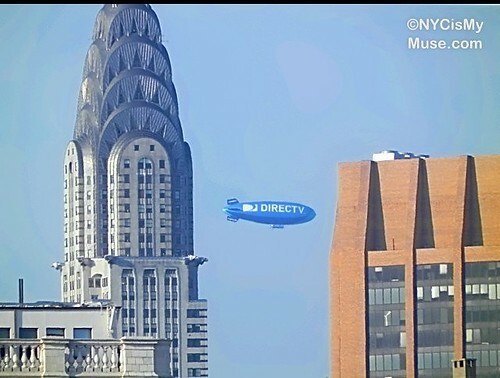 Here’s a photo of an airship docking at the Empire State Building! These lovely vehicles are sure pretty, but commuters need transportation that works in bad weather. Maybe you can try explaining to your boss that you are late for work because the wind is crazy. Buses and subways can continue to run in driving rain and snow that will ground any air vehicle. Yes you are right about bad weather and LTA’s. Also the price of Helium is outrageous. However, there is a way to manufacture Helium but it is very exotic. Bringing back Helium-3 from the moon is cost prohibitive too. But, if someone could make a LTA that required no mooring crew and could land itself on any sized flat surface big enough when bad weather starts, then maybe there’s a chance. Well enter this Ukrainian dude that got a US Military grant to make one and it is operational already.It is called the Aeroscraft COSH and never vents its Helium. The dude’s name is Igor Pasternak. His company is Worldwide Aeros Corp. It can haul 66 tons (59 mt) for 5,000 miles (8046 km) at 120 knots (138 mph). It requires no water or sand ballast. Here is a video of the craft. Small non-rigid airships may have long-range difficulty in severe weather, but there are several recorded instances of large airships encountering severe squalls and passing through intact. The success of German zeppelins in severe weather came down to both great piloting skill as well as structural engineering. British and American rigid airships succumbed to bad weather in large part due to avoidable piloting errors and structural flaws. More a problem with conventional aircraft on landing.Most of them can recover from stalls by decreasing airspeed. An LTA not so much as everything with them is in slow speed. The microburst may push them down into the East River. However, it’s a bunch of bagged helium. What’s so bad about that in water? The new Aeroscraft COSH doesn’t require ballast nor a mooring crew. A microburst could only assist the landing rather than ruin it. Pretty much all airships have either been destroyed in a crash or had at least one serious one during their service. They are several orders of magnitude LESS SAFE then heavier-then-air aircraft. I looked at all LTA airship disasters since 1897. There was a lot. I attribute that to hydrogen and pilot error mostly. So I looked at year 1960 and up. I did not find so much to rival HTA disasters. Most LTA’s > 1960 AD where due to “trees”. Last year’s Wisconsin US Open disaster was mysterious. He broke up during ascent due to a ostensible microburst and came down hard exploding his gasoline fuel tanks, He was only one aboard and suffered light burns. It could have been pilot error too. There are no trees in the East River only bridges and boats. The Aeroscraft COSH would handle better in a microburst and is less likely to break up in a storm. Also the Aeroscraft COSH pilots are well trained and usually ex-military LTA pilots. My opinion on this subject matter is the antithesis of yours AKA the A. The Sky Ride of the 1933-4 worlds fair Chicago was quickly put up and taken down as such worlds fairs do. 4 and a half million riders in double decked “planes” run by real certified pilots with air traffic radio. It was the highlight of the fair. I remember my mom talking about the ride. Sorry, screwed that up. As for danger, hell it’s New York! Why not approach this from a completely different direction? Run some extra fibre cables across, subsidise connection upgrades, and mandate that desk workers be allowed at least 1 day/week work from home. Dan, That’s called TELECOMMUTING and is not a bad idea. However, a lot of employees abuse the privilege by goofing off or can’t get work done due to home distractions. You’d have to seal yourself inside your home-office and have your family, friends, pets leave you alone. Also no TV or radio (or Netflix). Just nose to the grindstone and get your work done. Have a college fridge in there for snacks and drinks. Telecommuting is hard when you have so many home distractions. Yes, I’m aware it’s called telecommuting, though I believe it’s more commonly called home-working, at least in the U.K. I work from home, it’s not hard. You sound like the type of micro-manager who opposes it without understanding and doesn’t trust their employees. Every bit of research I’ve seen shows that home-working is more productive. *Also my fridge came out of a building that people have to drive to, so I imagine the number that can home-work is pretty small. Ostracus – I hate to admit I unofficially played a very small role in the early outsourcing move in USA. My company (a Fortune 50) had a CEO from India. We trained a lot of people from Bangalore to do our IT jobs in USA only for them to return to India and take our jobs. We used a company called Arthur Anderson (now Accenture) to be the driving force behind offshore outsourcing. I am not proud of that. We need to stop worrying about Mexico. It is India, Ireland, Romania, and sorry even Canada impacting our USA jobs. It doesn’t work for everyone, but statistically it’s better for most. You may be overestimating your productivity in the office – for many of us, meetings and other interruptions hit productivity badly. Small kids at home is an issue though – I’ve got a great story about one of our kids running into a meeting with a client and mooning…! Definitely sounds like you need your own space to work – or perhaps try a co-working space of coffee shop? Or send the wife & kids out to the park/soft play/toddler group etc? I never needed fast internet for coding though – previous job was coding video processing, and I needed access to a 0.5PB library, so I just RDP’d to my workstation when at home. Now I’m doing web stuff, and a crappy ~100kbps VPN (need to work out what’s misconfigured!) is fine. I feel ya’ bro’! The kid mooning the meeting was precious! Yes when I was a cubicle-prisoner, MEETINGS were the worse. Once in a high rise building the 7th floor conference room window blew out in a wind storm. You’d think those morons would AVOID that conf room. I sat right next to the opening wondering what bird or big bug was going to fly in. I was in one meeting in where we were allowed a casual Friday and we all had shorts (aka knickers) on. Then the CEO gave a speech about how some of us consultants should have never been hired! We all looked at each other in ta WTF mode. That was a highly uncomfortable meeting. We used to only attend them for the donuts and make sure we were MIA at the right times. I conducted one once and I really made an enemy during a brainstorming session and I shot down a really dumb idea. I paid for that. I hate offices. The movie OFFICE SPACE (1999) was too realistic for me! Yes a coder does not need a high-speed internet for coding, per se. However, if video conferencing, hi-res image uploading, multimedia, and internet research is involved, then yes. And GAMERS really need it. What if you were a Gamer-Coder and wanted to telecommute? Ever watch those American NCIS TV shows? How much bandwidth do you think those federal IT employees need for their clever online toys? Your GCHQ employees sometimes work from home too. I knew one. He needed tons of bandwidth for his online toys. What wrong with a replacement tunnel? It comes down to money doesn’t it. We aint the 1st world any more. We’ve been relegated to 2nd place. The real 1st world is building infrastructere. We’re busy trying to figure out how to keep it from falling down for 30 more years because we cant afford to replace it and “some other political party” will have to deal with the problem. That’s where “make America great again” has a place to shine – building new infrastructure. US is in serious need of various repairs on dams, water canals and bridges. Not sure that’s what #45 meant by that statement. Why build a replacement when you can have two? I’m guessing if they had the budget to build another tunnel they would but to be a replacement means to abandon the existing one. That would be short sighted. It leaves them with the same problem next time. It would be much better to build a new one and then, once it’s open still repair the original. Now they can always close one while relying on the other. They already thought of that. There is one nearby. They may try it for here too. It is a proposal for cable cars on the table. What we need is a moving walkway treadmill held aloft by balloons. Saw that at World’s Fair 1970(?) in Montreal CA (sans the balloons). It’s a good idea to put on the sidewalk on the pre-existing East River bridges like the Manhattan and Brooklyn bridges. Could even put them on the railroad trestles too. Actually this is a very cool idea! And it would be two of them for 2-way traffic. But you can’t stop it or get off very any reason. Very good idea Archon. Here is one in Toronto CA at the airport. Only if put on a East River bridge it would need an enclosed canopy for bad weather and to stop jumpers (actually a problem in NYC). Giant refrigeration coils ran across the river could make an awesome ice bridge! That’s if moving saltwater can freeze. The East River only chunks up with ice as it is VERY fast moving saltwater (and stinks). And your coils would be a hazard to marine navigation. How would people walk across ice without trips and falls? And the massive current would tear it apart almost instantly. I like the conveyor belt (people mover) idea from the other HaD poster. Better than my blimp idea now. Get this Moses character to be the project manager. Problem solved. That’s a trivial problem to solve, you just use a reverse osmosis layer to remove the salt. It can freeze right after it squeezes through. And even, make it a reverse osmosis tube, and run it under water. Inflatable tunnel! Get ready for the maintenance cost to be relegated federally.. Even with New York’s high concentration of wealth the rest of the country always ends up paying for infrastructure there even in the private sector..
Not if the NYC mayor puts a toll booth on either side. That seems to be the direction NY and CT are taking – toll booths. People complaining certainly didn’t stop it from happening all over Florida..
Not using an existing bridge that’s a quarter-mile to the south could, I guess, be praised as out-of-the-box thinking. Like high-speed rail from Bakersfield to Fresno.